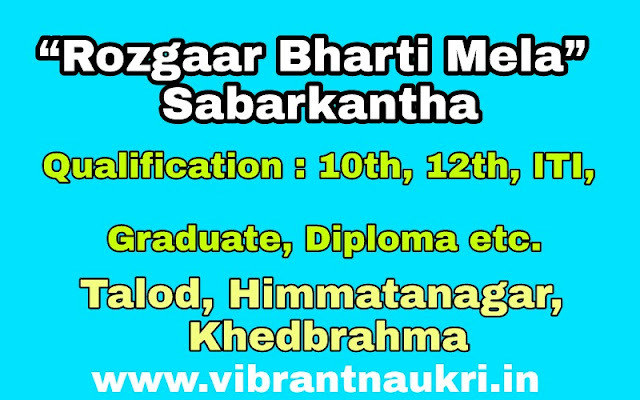 “Rozgaar Bharti Mela” in Sabarkantha 2017 | 10th, 12th, ITI, Graduate, Diploma etc. | Talod, Himmatanagar, Khedbrahma: District Employment Exchange Sabarkantha has published Recruitment notifications for Rozgaar Bharti Mela for below mentioned posts. More information please read below mention officially notifications carefully.